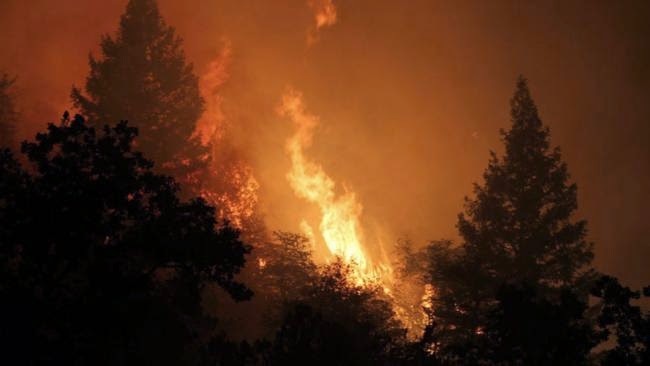 A drone captured aerial footage of the aftermath of the Santa Rosa, Northern California forest fires that have wiped out over 2000 homes and businesses. The drone footage in this video looks like a nuclear bomb went off. 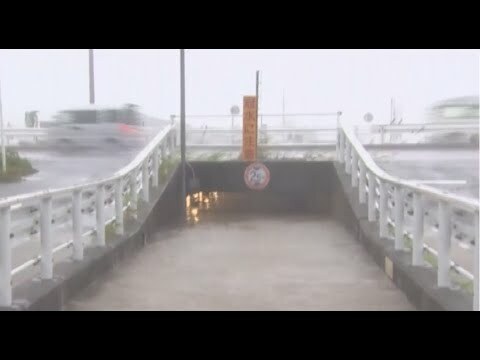 Typhoon Phanfone made land fall in Japan on monday morning Japan time near the city of Hamamatsu. 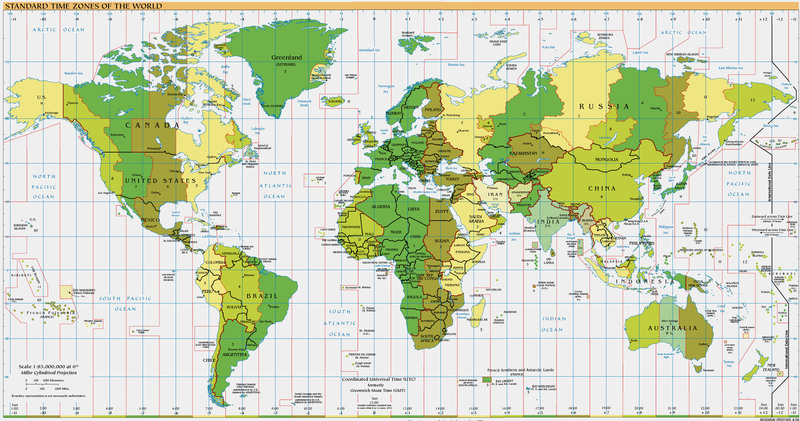 Winds were clocked at 180km/h or 112 mph. The footage here shows some of the intensity of the storm. There is a search taking place for U.S Airmen on Okinawa that were washed out to see by the extremely high waves. This footage was uploaded to the internet this morning on the Russia Today youtube channel. 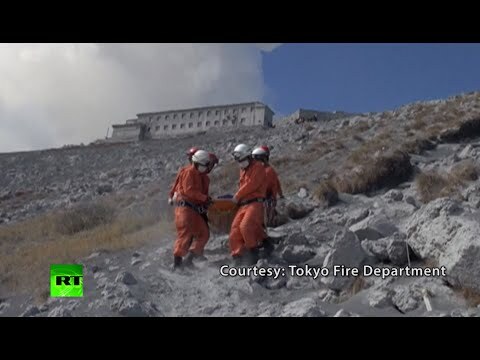 Here is footage of a survivor being rescued from the aftermath of the Volcano eruption that took place at Mt Ontake, Japan. There are over 1000 rescue personnel searching the ash for survivors. The death toll as of now is 43. The footage was courtesy of the Tokyo fire department, and uploaded October 2nd to RT’s youtube channel. 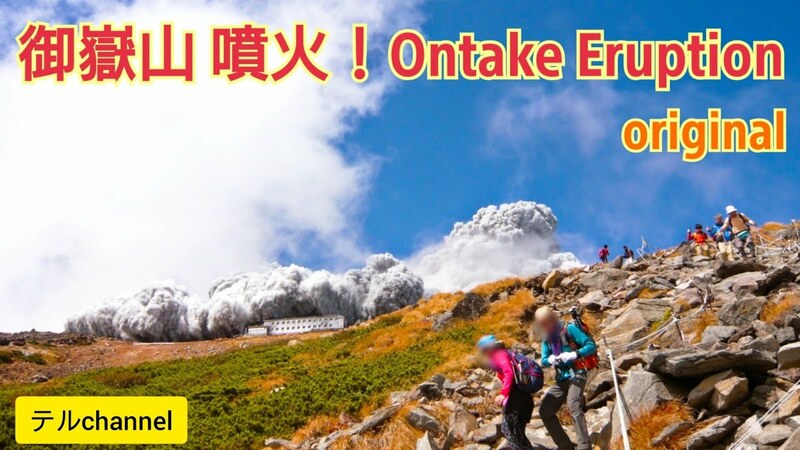 Here is footage of the volcano eruption that took place at Mount Ontake, Japan today. Mountain Climbers were on there way up, a little to close for comfort, when the eruption took place. One of the climbers captured the footage as the smoke started to descend down the mountain. According to the Associated Press, several people were injured. The eruption took place around noon in Japanese Standard Time. Watch this dramatic footage uploaded to youtube yesterday of one of the fires in Central Washington. This fire was near Wenatchee. This footage gets you soo close that you feel like you are actually there. 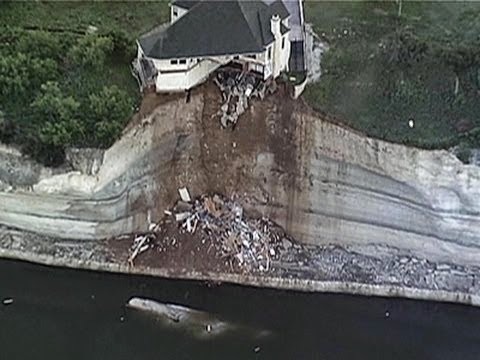 A vacant luxury house appears on the verge of tumbling 75 feet into a Central Texas lake because a cliff is collapsing beneath the property. 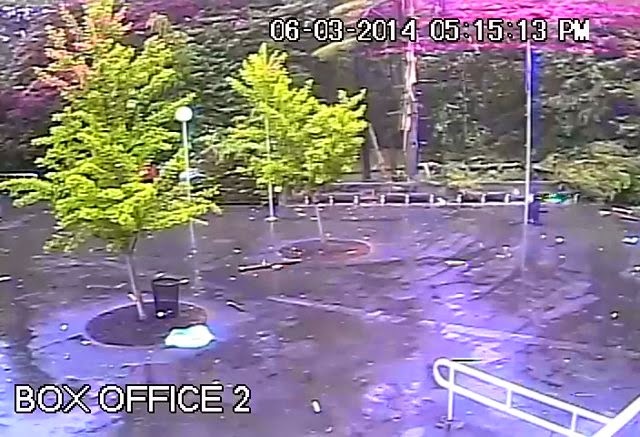 The SPAC Box Office surveillance camera caught a lightning strike yesterday in Saratoga Spa State Park. Watch as lightning splits the tree in half in only a second. Multiple security cameras capture the moment a tornado hits Batesville, AR on Friday, June 6, 2014. 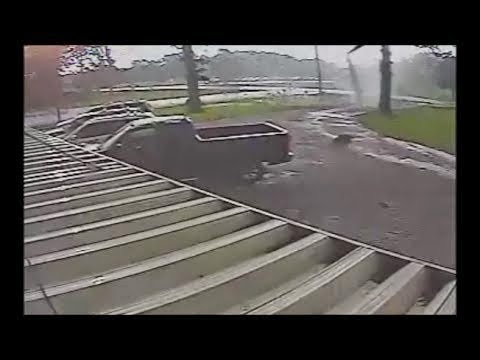 Security camera footage from Josh Kemp as a tornado hits his business, Ozark Information Services, Batesville, Arkansas – on Friday 6/6/14 at 2:52pm. 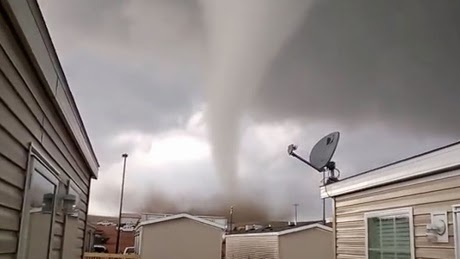 Watch as these two guys in a trailer park get extreme close up footage of the monster tornado coming straight for them. According to the national weather service the tornado winds reached 120 miles per hour. The trailer park was about six miles south according to local news. WHIO Weatherman Rich Wirdzek filmed the moment he discovered a crying kitten in the rubble of a tornado ravaged barn. It is unknown whether any of the kitten’s siblings survived the strong tornado, which swept through Cedarville, Ohio on Wednesday. The storm caused major damage to several homes and farm buildings in the area but no one was injured.